Looking for a challenge beyond your usual fun run or weekend bike, but not as logistically expensive as a standard triathlon? Look no further; the aquathlon is here! Myself as I go through the transition area to pick up my race belt with water bottles, race bib, shoes and sunglasses. Photo by the Ateneo Aquathlon 2014 organizers. 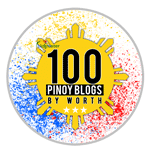 Well, actually, it’s been around for about eight-or-so years now, having been pioneered by large universities like UP and Ateneo. So what is an aquathlon for the uninitiated? First, the short history. I’ve competed in the Ateneo Aquathlon (Ateneo de Manila University) once recently, and the SBR.PH Aquaman twice (both held in the University of the Philippines Diliman). Both venues are blessed with three things necessary to hold such events: large enough swimming pool, sprawling grounds, and a willing athletic community. 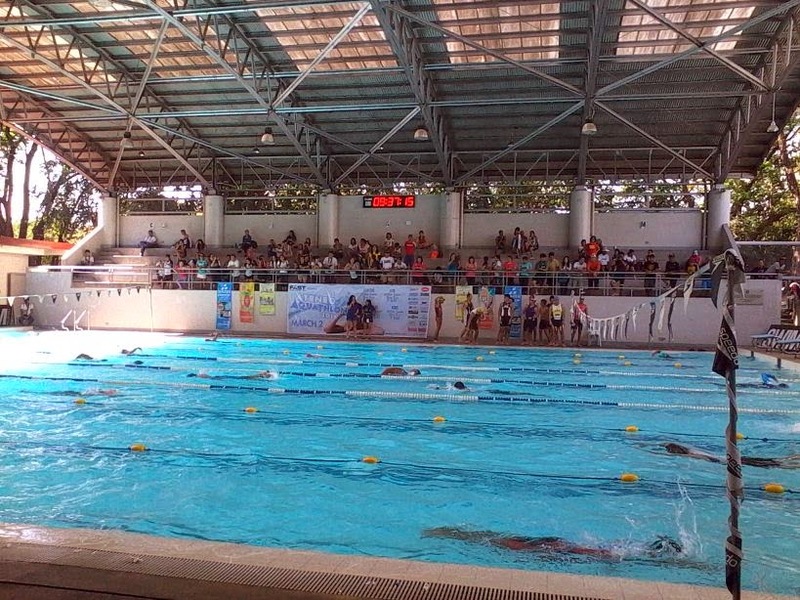 I’ve heard of the Ateneo Aquathlon since 2010, and by then, it was already in its second run. I’ve heard of sprint triathlons (halved distances) being held in the same, as well as in UP since way back when. 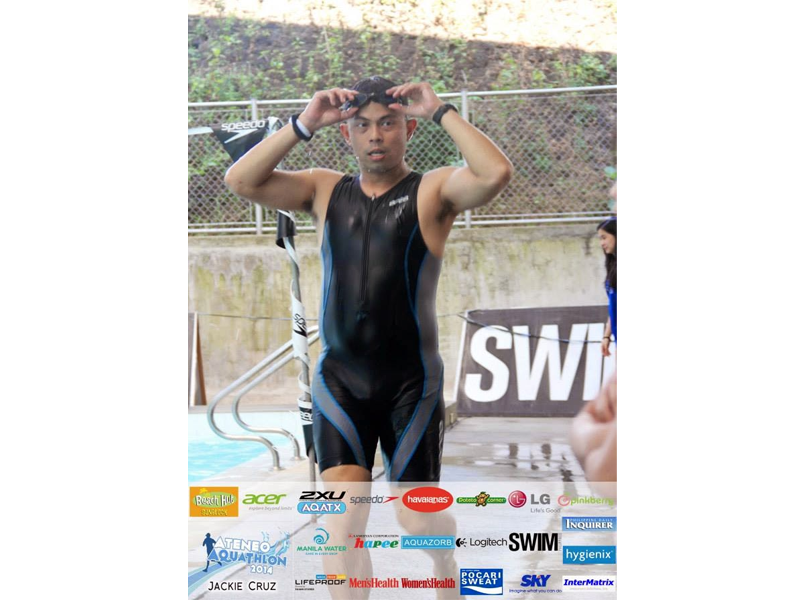 Then, SwimBikeRun Philippines (SBR.PH)—one of the biggest and most popular multisport online communities in the country—initiated the SBR Tri Series in early 2013 for the sake of newbies, featuring halved distances. The SBR.PH Tri Series always starts with the SBR Aquaman: 800 meters swimming and five kilometers running within the State University. Participation, as the organizers have gathered, is more than 250-strong and still growing, with 85% of the competitors as triathlon fledglings. Regardless of differing non-standard distances (Ateneo’s distance for swimming is only 600m), aquathlons, by popular definition, feature a swim leg, a transition, and a run leg—in that order. As to why some enthusiastic athletes invented the aquathlon is beyond me, but the popular reason is that it is a way to ease athletes of individual endurance sports like swimming and running into a full triathlon. It’s been doing a good job, so far. So now you’re briefed. Training for individual sports is one thing. Swimming was my main dish day after day—running was just an appetizer, and everything else is candy. Then, it dawned on me that I have to train for two sports and treat them as one: swimming is important, and so is running. Doing the aquathlon relay will not diminish the importance of one in favor of the other (yes, there is a relay event where one swims and the other runs). Believing in the multisport evangelization, I started committing myself to training for the swim and run legs. And I suggest you do the same. You can start by giving yourself at least four days a week for the next four to six weeks before the race, with at least three days committed to running. It pays to have a consistent background in either swimming or running so you can easily work out your missing piece of the aquathlon puzzle. If you have neither, talk to your sports medicine or wellness doctor first. 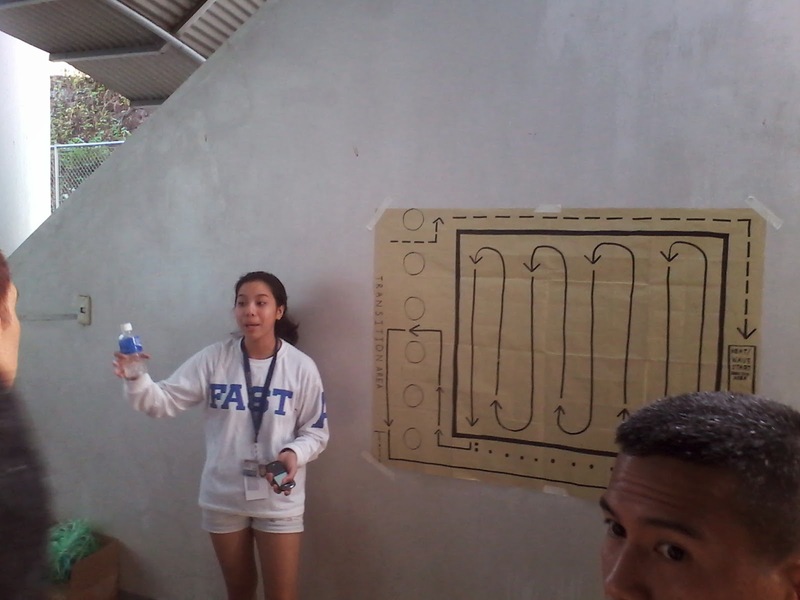 An Ateneo swimmer and member of the Ateneo Aquathlon 2014 organizers instructs aquathletes on how the 600-meter swim leg can be completed: by zigzagging one's way through eight lanes of 25 meters, three times. Welcome to the "washing machine"! This "wash cycle" of the Ateneo Aquathlon isn't even the strong one yet. Or this may be the age group with few swimmers. The older one gets in the age groups, the less crowded it becomes. There is no limit to how many times you can swim since it doesn’t have the same impact on your skeletal system than running. With running, you need to alternate training with rest for the sake of your bones and joints, especially since nobody is getting younger with the persistence of time. Before you get crazy with training programs that can be downloaded from the Internet, it would be good to ask yourself, “Do I really know how to run?” What?! Haven’t we been running since we were toddlers? Everybody (even Oscar Pistorius) can run—but it’s how we run that would spell the difference between a fruitful finish or a meaningless pain! Learn from the historically incorrect William Wallace (played by Mel Gibson) that wit routs simple brute strength. 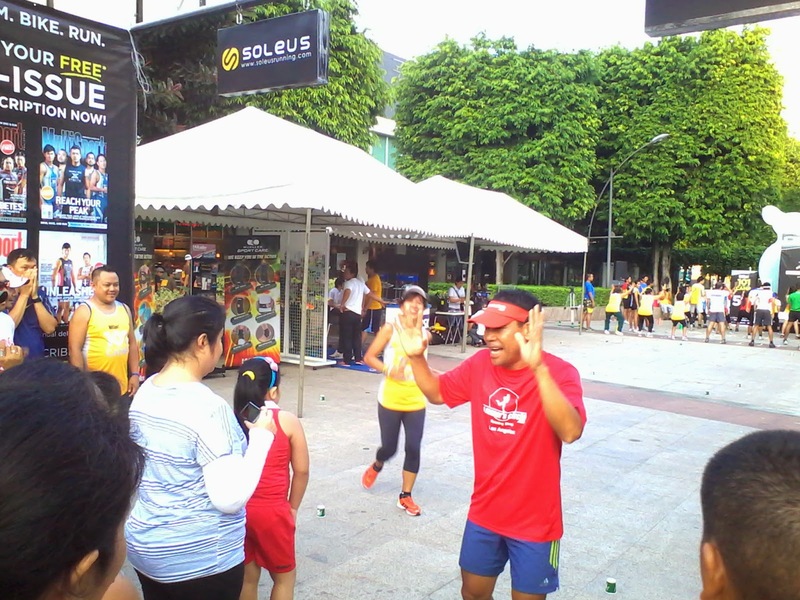 Veteran marathoner Saturnino "Titus" Salazar coaches multisport and marathon wannabes the way of correct running in the MultiSport 101 Camp Series at the Bonifacio High Street Activity Center. Attending the camps made a big difference in my runs (and cycling too). 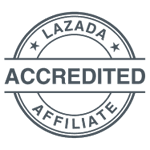 Attend seminars—such as the MultiSport series usually held at Bonifacio Global City—to check how well you know running and learn some useful layman’s biomechanics, conditioning and nutrition. Believe it or not, in one such seminar, I learned that mankind of 1,000,000 B.C. knew better. They were influenced by the terrain of the time and the drive to hunt for food. They ate better too, and ate only what they needed. We, so-called modern men and women, have unfortunately de-conditioned our natural running instincts, thanks in large part to television, the couch and junk food. And that’s just running. The human physiology, by evolution, is not a natural-born swimmer. I couldn’t agree more with my mentor, the late great Remberto “Tito Bert” Lozada, who said “Great swimmers are made, not born.” As high school biology would have it, we evolved from primates, not fish. Whether we wear the shark-skin-like Speedo Fast Skin® or the flowery “puruntong” (very loose shorts), we will remain only 10% efficient or less in terms of aquatic mobility. Again, technique is better than brute strength. A ripped guy who knows little about swimming science can be outdone by an eight-year-old school girl who listened carefully to her coach. Watch YouTube videos of a proper freestyle and get a companion, or a trainer, to inspect your every technique and progress. 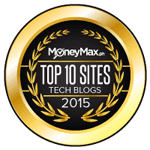 A partner will also help boost your confidence, which will play a vital role in Part 2 of my article. Now get off the couch and tell yourself that you are doing this for fun and not duty.